Lemon Essential Oil has a fresh, citrus scent that is revitalizing and uplifting. Lemon essential oil is a must for every household. 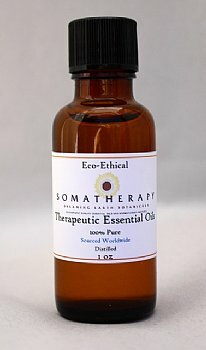 It’s useful for a wide range of applications, it smells wonderfully fresh and vibrant, and it’s one of the most economical aromatherapy oils available. Lemon essential oil comes, of course, from the fruit of the lemon tree. The tree is believed to be a native of China, arriving in Europe by way of Persia. Later, Christopher Columbus brought the lemon seeds with him to Hispaniola (now Haiti/Dominican Republic). Today, lemon oil is mainly cultivated in California and southern Europe. Lemon oil comes from the cold expression of fresh lemon peels and smells bright, fresh, and, lacking a better description, "lemony”. It takes about one ton of fresh lemons to yield six or seven pounds of lemon essential oil. Some of lemon oil’s many properties include: antimicrobial, antiseptic, astringent, diuretic, insecticidal and tonic. Because of its antimicrobial action, lemon is one of the most important oils for supporting the immune system. Diffuse lemon into the air to help with the symptoms of colds, coughs and other respiratory problems. Use lemon oil for facial toning and cleaning; its astringent qualities can be helpful for acne and excessive oiliness. Emotionally, lemon has a cheerful, positive aroma and energy, and can help lift a sluggish or negative state of mind. It can also help with focus and concentration. A study done in Japan showed that diffusing lemon oil throughout a busy office building reduced typing errors by 54%. Try adding a few drops to a candle diffuser when learning new material or studying for an exam. Review: I like it and my customers like it. A little goes a long way. Top quality and potent.